The cultural history of Orissa has forever showcased the rich heritage of stone and wood carving works. Most of the traditional crafts of Orissa were generated in Puri district and those have been associated with various needs of the living gods in the lord Jagannath Temple regularly and during festivities as well. The legacy of stone carving of Orissa was prominent through the time of history. From the temple walls the tradition still continues with the skillful chisels of the artisans those create attractive products of difficulty. Innovation of new products through potential designs has become a regular work as part of their effort to attract the buyers. 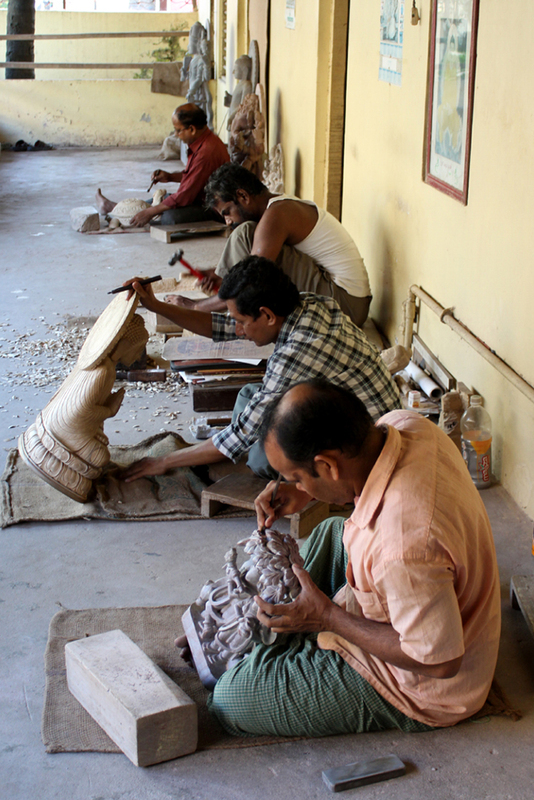 Stone Carving is one of the traditional crafts of Orissa. 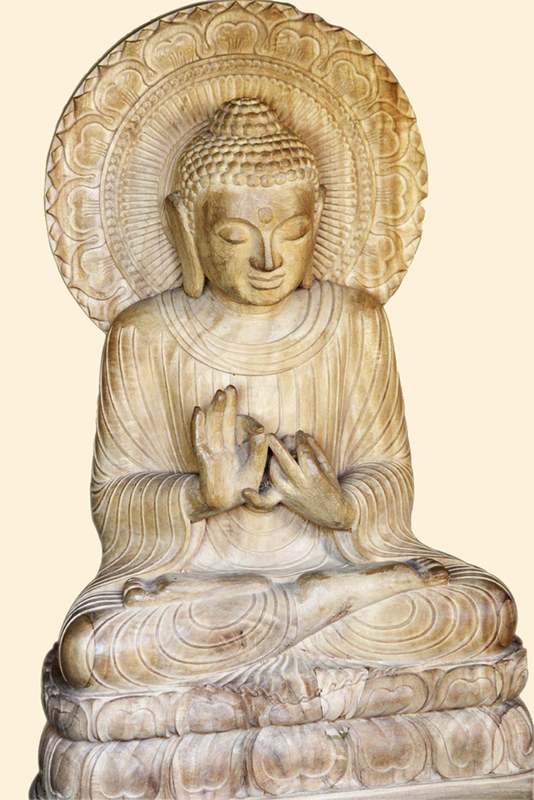 The craftsmen of the state who are engaged in stone carvings have a rich lineage. Some of these works are the renowned temple of Jagannath, Lingaraj, Konark, Khiching and Rajarani. These temple exhibit some highly skilled Orissa stone works. The wide variety of stone works of Orissa produced in Bhubaneshwar, Puri, Lalitagiri and Khiching are very much in demand. Both decorative and functional items are created by the stone carvers of these places. Different types of containers made up of kochila stone, sandstone, nilagiri stone, soap stone, kendumundi stone, serpentine stone and Kadapa stone. Wood Carving is another important handicraft of Orissa. The wood carving of Orissa exhibit a perfect blend of classical and folk elements. The wood items of the place are meant both for decorative and functional. The specialty of the wood items of this place is the wide range of colours, gloss and polish. The most common types of wood used for making these items are Gambari, Teak and Piasal. Some of the most popular wood articles are various figurines of alphabets, animals, bowls and boxes. A variety of images of gods and goddesses are also carved out of wood by the wood carvers of Orissa. The flower vases, bowls, jugs, and vermilion boxes of Puri and Khandapara, toys of Baragarh and Puri and a variety of wood articles of Dhenkanal are some of the most well-known places for wood works. 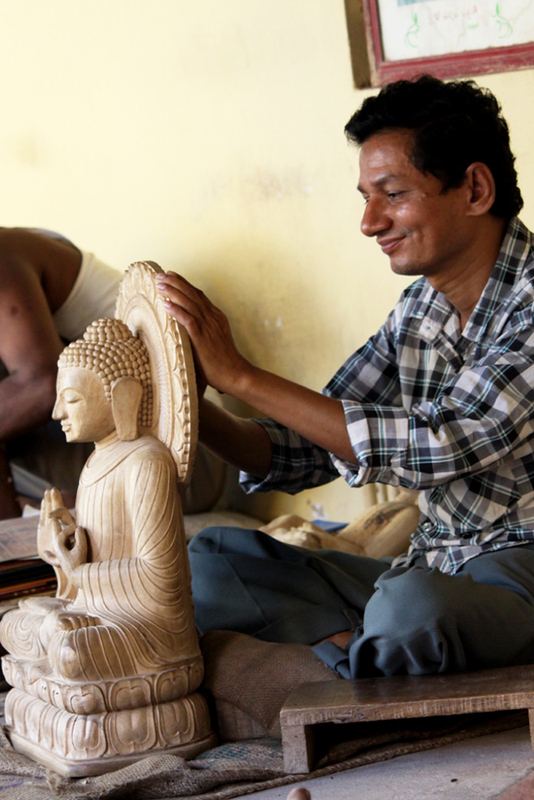 Mr. Rubby Sahoo traditional style sculptor, working for more than 30 years. He learned from his father Mr.Sudarashan Sahoo who won Padmashree Award in the year 1988 from Hon’ble Shri R Venkataraman, President of India. Also received Shilpaguru Award by Vice President of India and National Award in the year 1981 for stone carving from Hon’ble Shri N Sanjiva Reddy, President of India. He has 50 years of experience stone and wood carving. 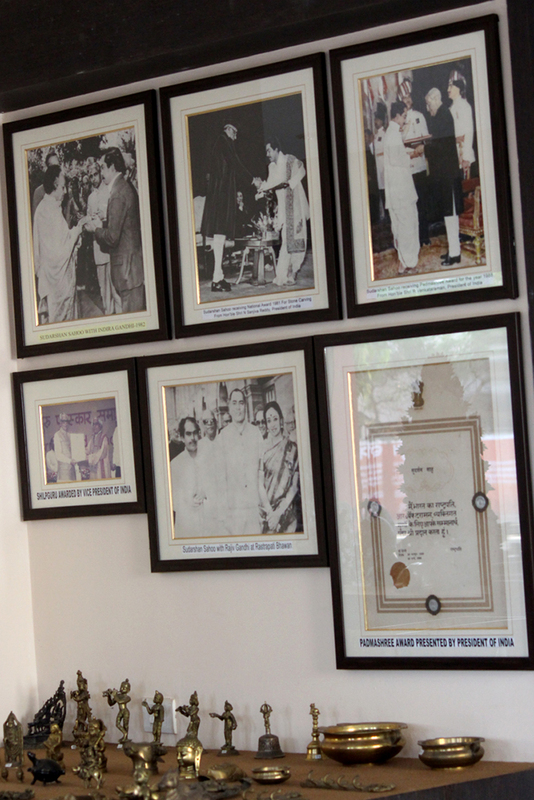 The Sudarshan crafts museum was started in the year 1977.